Yesterday, for the first time in a long while, the sky was persistently gray at the coast. It wound up being a lovely day for a hike, a long stretch of reading, and some of my favorite Sunday chores, such as making yogurt and trying out a new soup recipe. In the midst of all of that, I found myself thinking of Seattle. I’ve only been there once. Before arriving, I was told by several people that they expected me not to return. That sounds more morbid than I mean it to – what they meant, or what I have always assumed they meant – is that I would so love Seattle that I’d want to move there immediately. 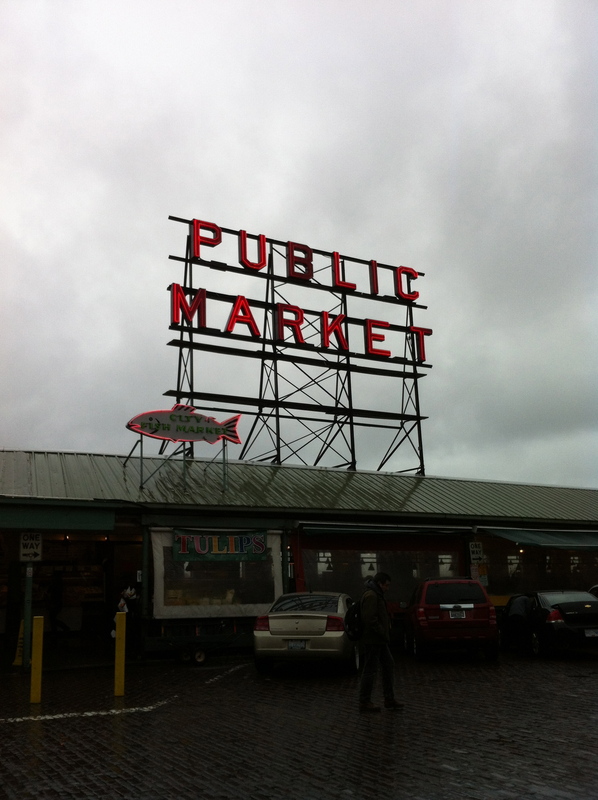 Obligatory Public Market photo; see those gray skies? Fair enough: for all my East Coast blood, I know that there’s inherently some Pacific Northwest that courses through my veins as well. It’s some blend of eco-awareness, liberal political views, a deep love of the outdoors, and the personal characteristic (early on in my life, my mom dubbed me “tenderhearted”) that makes me a stout defender of anyone I perceive as an underdog. 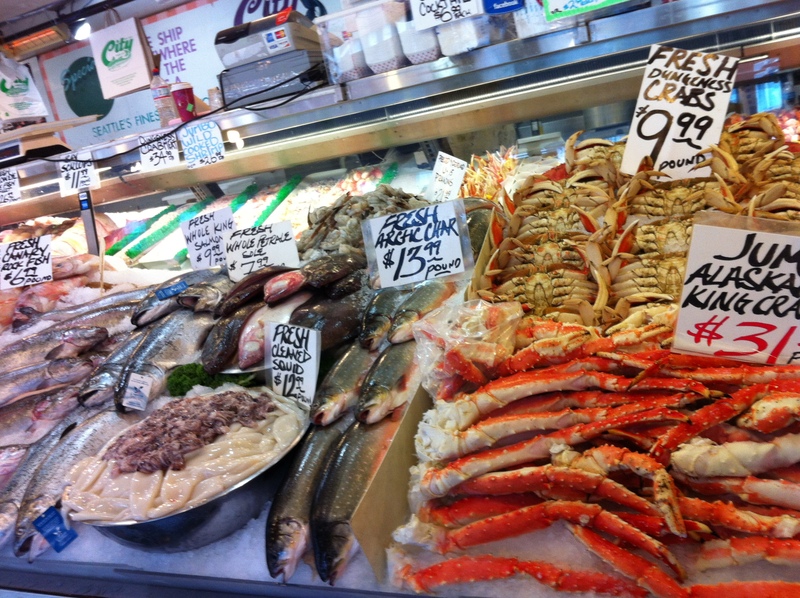 Apparently my tenderhearted self is a bit hypocritical; though I don’t eat meat, I make an exception for tasty seafood. In any case, to everyone’s surprise, I didn’t feel an immediate and irresistible pull towards Seattle. I liked it. But I didn’t love it. 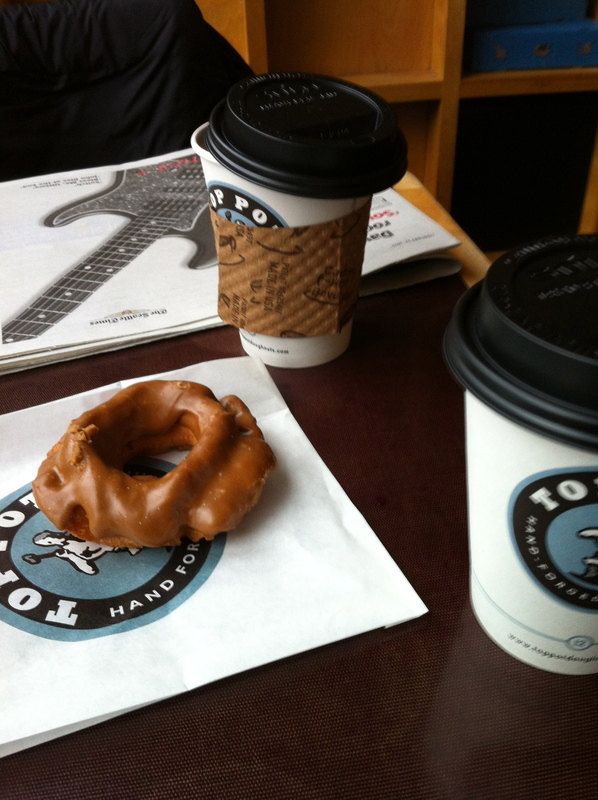 Top Pot Donuts: now, these I loved. There wasn’t a clear reason why. There were good cocktails, good coffee shops, and good people, all of which are critical components of a great city. The food was fantastic. I loved a meal at a restaurant called The Whale Wins, so much so that I treated myself to the owner’s cookbook when it came out last year. The Wild Huckleberry Eton Mess was indeed quite a mess…of deliciousness! Friends even took us to a hidden Vietnamese restaurant; we walked through a deserted parking lot and behind some dumpsters to get to the unexpected oasis of calm and spice. It was some of the best Vietnamese food I’ve ever had. 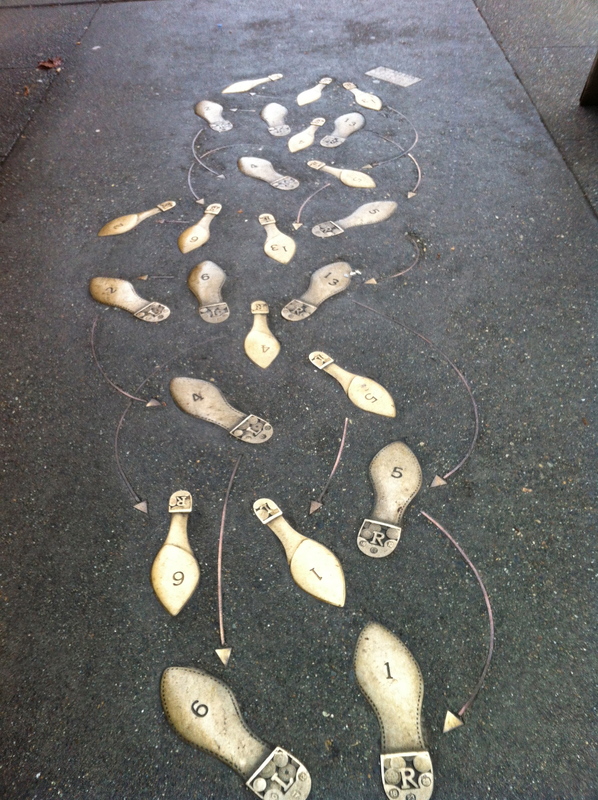 Dance steps in the sidewalk that did not lead to the dumpster in question. Or maybe, confusingly, they did. There were craftspeople and artisans and athletes and tech geniuses, all of whom are reputed as Seattle’s true children. And perhaps, as I consider it now, it’s because of that outpouring of brilliance and creativity that I felt overwhelmed, unsure of my place in the melee. 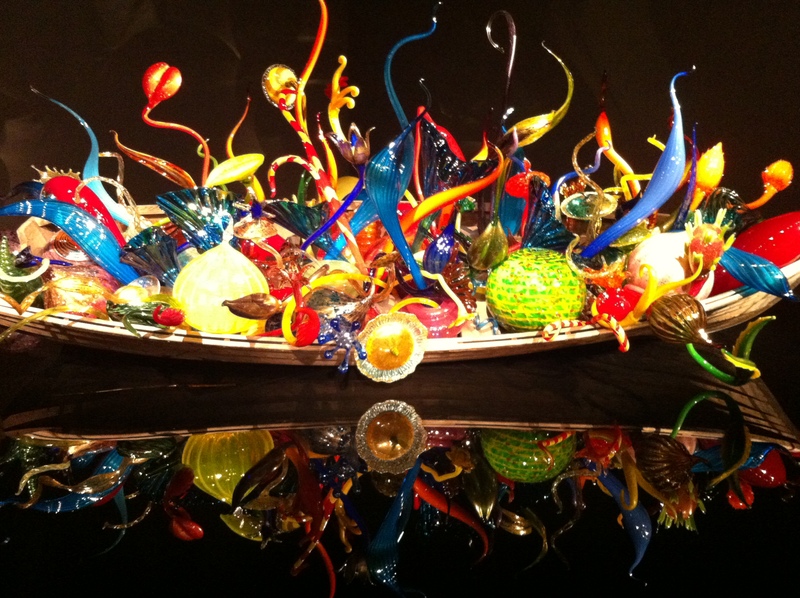 Chihuly: colors and magic in the impossibility of these glass angles. Yet thinking of it now, I find myself curious to return, wondering if I’d feel more inspired with more time there, perhaps an apartment rented through Airbnb rather than a sterile hotel room. 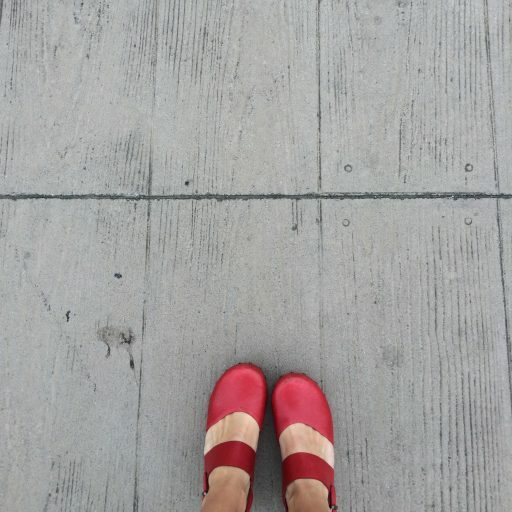 Maybe, like most places I’ve been, it’s a matter of jumping into the life there, rather than trying to soak up that which makes it famous from the outside. 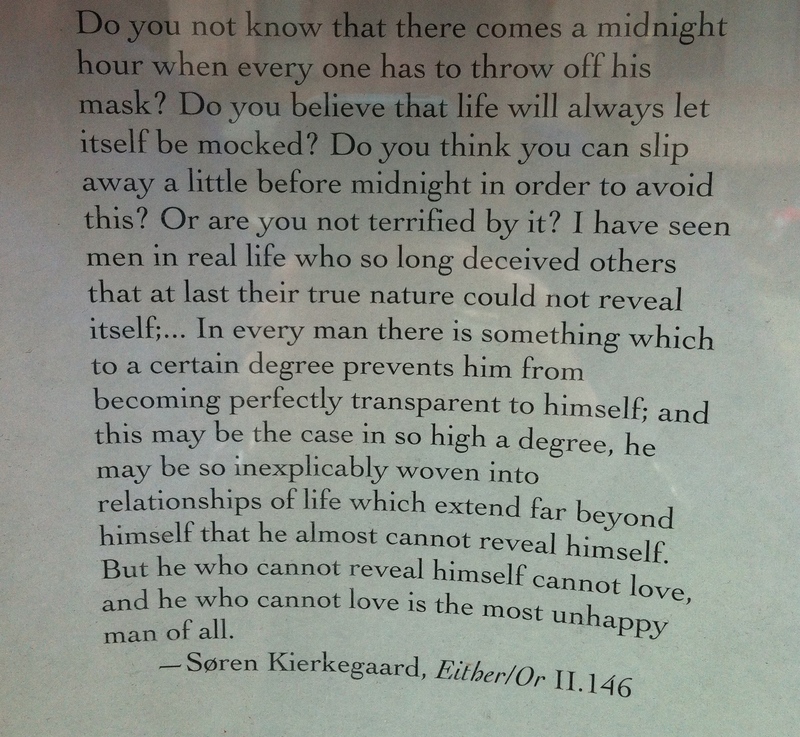 Serious Kierkegaard posted in a Seattle window suggests we get a bit more introspective. Maybe, like most places, it’s a matter of going farther in. Surely Seattle is a great town, if these are the kinds of shenanigans embraced by its little wooden people. 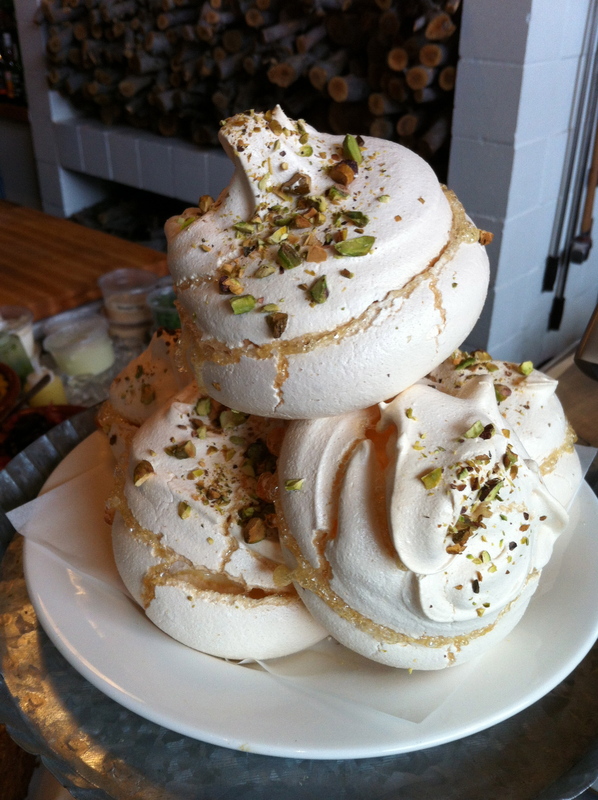 …and just like that, I’ve convinced myself that perhaps I really am meant to move to Seattle, after all. This entry was posted in Seattle. Tagged Airbnb, chihuly, coffee shop, exploring, food, memories, The Whale Wins, Top Pot donuts.